A sunset is an occasion most of us celebrate and enjoy. It's a time to enjoy the transition from the often hectic and trying pace of the day to the more relaxing nature of evening. But for many elderly people who suffer from Alzheimer's disease or other forms of dementia, it can be a time of increased memory loss, confusion, agitation and even anger. For Caregivers to patients and loved ones with dementia, witnessing an increase in their loved one's or patient’s symptoms of disorientation at sunset can be nothing short of troubling, if not also painful, frightening and exhausting. This might sound familiar to you. The phenomenon, which affects up to 20% of the more than 5 million Americans with Alzheimer's, is referred to as "Sundowning" or "Sundowners Syndrome." The Alzheimer’s Association has a lot of research on Sundowning, and we know as health care professionals that evening hours can present more agitation in individuals with Alzheimer’s and other dementia. If you’re a Professional or family Caregiver working a nighttime shift, being aware of increased agitation and other Sundowning symptoms can help prepare or modify your behavior when interacting with your loved one or patient. Hazel, a 74-year-old with early-stage Alzheimer's, loves her breakfasts and is usually in good spirits as she sits for her morning meal. While she has most of the common symptoms of Alzheimer's in the morning and during the day, such as short-term memory loss, language difficulty and disorientation, her personality is manageable and she gets along relatively well with others. As the sun goes down, Hazel becomes increasingly moody and may lash out at those around her. She's been known to strike out at family members and caregivers trying to help her. Often when she goes to bed, she is ranting about people in her past or events from years before, preventing her and others from getting a proper night's sleep. 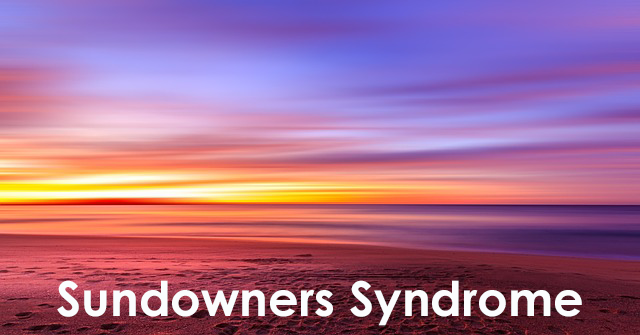 "There is not a clear definition of what Sundowners syndrome means," says a professor of psychiatry in the geriatric psychiatry and neuropsychiatry division of Johns Hopkins University School of Medicine. "It's a phrase. Some people would only include agitation in the definition. It is a range of behaviors, something that is not usual for the person that can range from just being restless to striking out." When there's a pattern, it's important to look for triggers or something in the environment. Is there something in the patient's medication? Are their fewer activities? There might be things in the home environment that may change or things in the patient, such as biological changes, sleep-wake cycle and hormone secretion problems. There may be things that can be done, for example, to increase the stimulation for some people, but for others it might be decreasing it. Does it happen every day, how long does it last, how severe is it? Because it is common, many Professional Caregivers who care for Alzheimer's patients are experienced with its range of symptoms and trained to deal with them appropriately. At BrightStar Care in Delray Beach, Boca Raton and Boynton Beach, Caregivers are trained and equipped to deal with Sundowners Syndrome and other behaviors which are often confusing and troubling. In Boca Raton, Delray Beach and Boynton Beach contact BrightStar Care at (561) 921-0550 to learn about Senior Home Care for your loved ones with Alzheimer’s disease and other dementias. 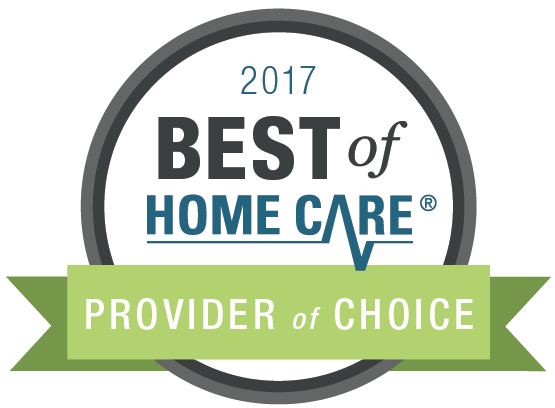 As the leader in Palm Beach County for Home Health Care, Senior Home Care and Medical Staffing, we are proud to be chosen the 2017 Provider of Choice Award by Home Care Pulse.